We are one of the principal Wholesale Angelica Root Essential Oil Suppliers in India. 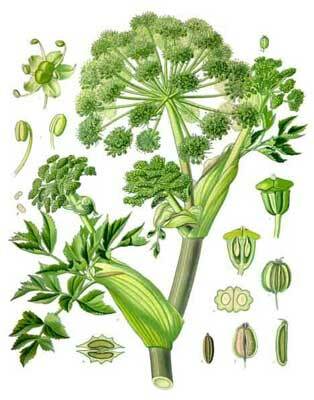 Angelica Root Essential Oil is also known as Angelica archangelica. The oil is extracted from the root of the plant. It is available in clear to pale straw yellow in color soluble in alcohols and other essential oils and insoluble in water. Angelica Archangelica Root Oil is used in curing Cold and Cough diseases.